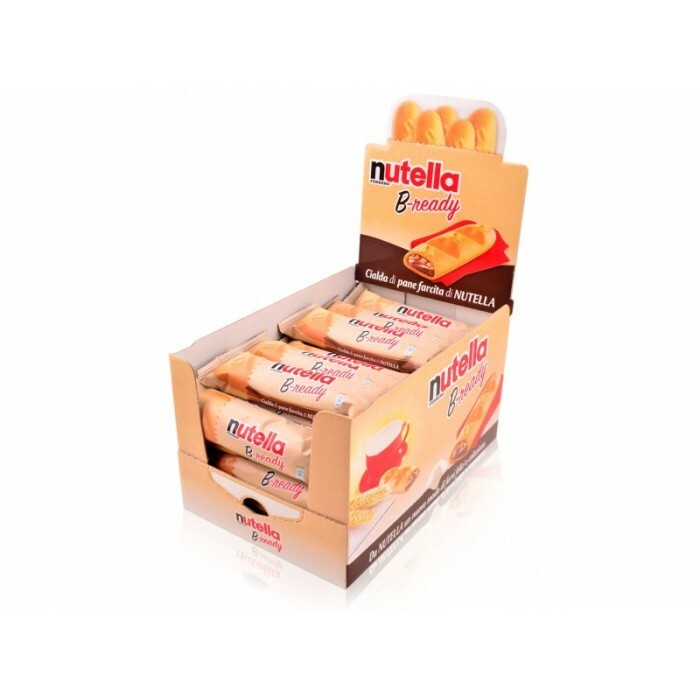 Breakfast with Nutella is now also at the bar! 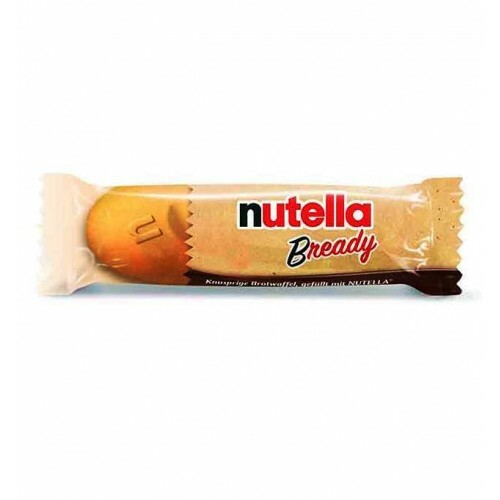 Nutella B-ready is perfect to wish you a good morning and make you start the day with enthusiasm - your new way ot have breakfast with Nutella! 76% cocoa and hazelnut cream NUTELLA (sugar, palm oil, hazelnuts 13%, fat-reduced cocoa 7.4%, skim milk powder 6.6%, whey powder, emulsifiers: lecithins (soy) ; vanillin), 24% wafer and grains ofbread type "00" with palm oil (soft wheat flour type "00", palm oil 6.5%, brewer's yeast, barley malt extract, emulsifiers: lecithins (soy); salt, skim milk powder, wheat proteins, milk proteins, water).